The perfect Chocolate Chip cookie - B. B. My sister is an amazing cook and baker. She started a blog a couple of years ago to keep track of all of her favorite recipes. She calls it Rozlynn's Homemade Goodness. She never puts up a recipe she hasn't successfully made and isn't amazingly delicious. 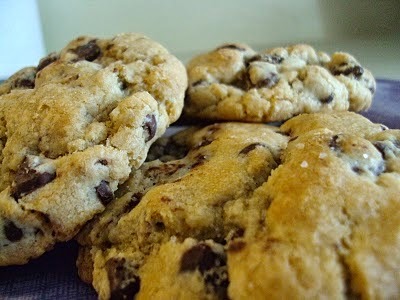 Last night for our traditional Sunday dessert we had New York Times Chocolate Chip cookies. I originally got this recipe off of my sister's cooking blog and now it's my husband's favorite. 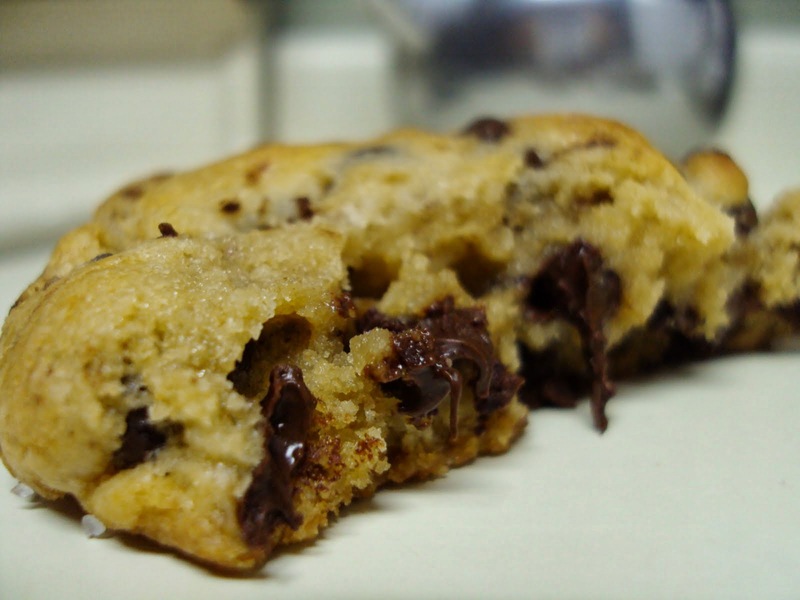 These are NO ordinary chocolate chip cookies, they are THE PERFECT chocolate chip cookie. A couple of hours before, I like to take my butter out and let it get to room temp. If you forget to do this you can always put it in the microwave and cook for 5-7 seconds at a time until room temp. But don not, I repeat do not let it melt! Also, I always use un-salted butter for cookies, but all I had was salted. So if this happens to you, just cut the salt in half that the recipe asks for. Next, as I am getting all my ingredients together I get a cup of warm/hot water and place 2 eggs in there. I let the eggs sit for a bit to get warm. Below are the eggs I used. They are from my Mother in laws chickens. Nothing like farm fresh eggs! While the butter and eggs are out, mix your dry ingredients. Flour, cake flour, baking soda, baking powder and salt (remember to cut salt in half if you use salted butter). 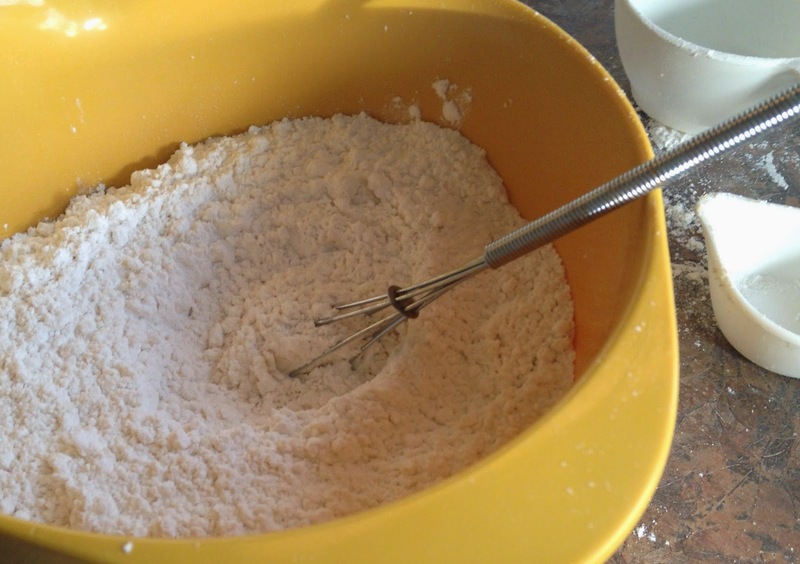 I like to take a small whisk and mix all the dry ingredients together to make sure they are thoroughly mixed. Next cream together the butter and sugars, then add the eggs one at a time until completely mixed and creamy looking. Then add the dry ingredients about a cup at a time to wet ingredients and mix. Then add vanilla. Should look like the mixture below. 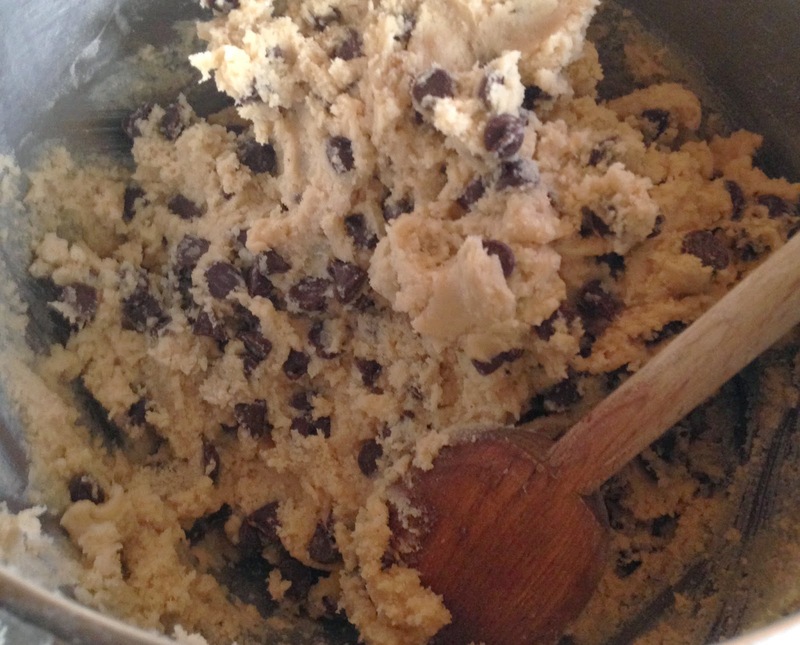 Next, mix in chocolate chips with a spoon. Then roll them out into large 2-3 inch balls (a little bigger than a golf ball). The larger the better with this recipe. It says to bake fro 18-20 minutes, but mine were done at 12-15 minutes so start checking after 12 minutes. Makes approx. 16-18, 5 inch cookies. Start off by preheating oven to 350 degrees. Line a baking sheet with parchment paper or a nonstick baking mat. Set aside. Using a mixer (my good ol' Kitchen Aid) fitted with paddle attachment, cream butter and sugars together until very light, about 5 minutes. Add eggs, one at a time, mixing well after each addition. Stir in the vanilla. Reduce speed to low, add dry ingredients and mix until just combined, 5 to 10 seconds. Drop chocolate pieces in and incorporate them without breaking them. Press plastic wrap against dough and refrigerate for 24 to 36 hours. 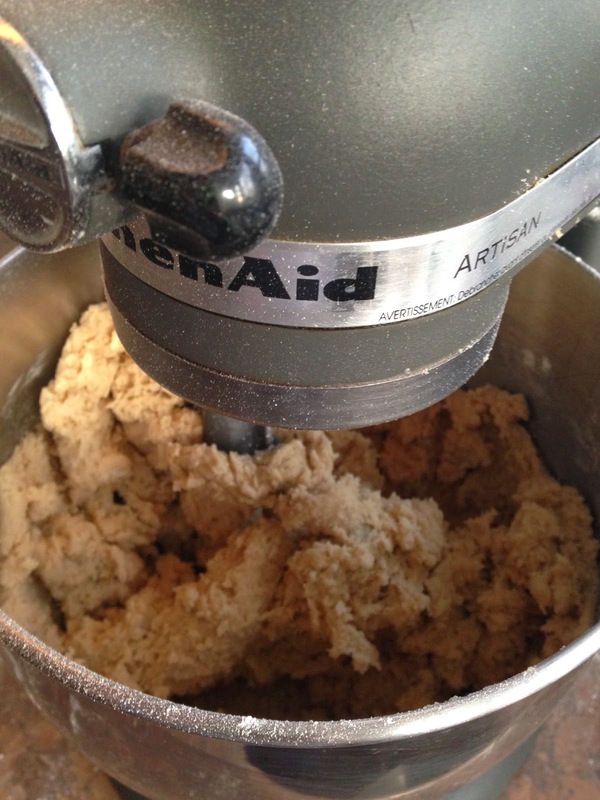 Dough may be used in batches, and can be refrigerated for up to 72 hours. Nice blog, and i read this blog and this blog provide the good information about the chocolate and i really appreciate this and this information really useful to anyone and i have to bookmark this blog for the future use.